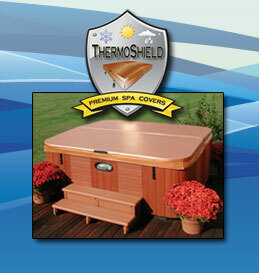 In 1983, Sonshine Covers Inc. began manufacturing high quality covers for spas and hot tubs. Today, we have grown to be an industry leader in terms of quality and dependability. As we’ve grown, we’ve maintained a family-owned business feel with a steadfast commitment to quality, customer service, and a never-ending quest to improve. From our service-oriented beginnings, we have proudly manufactured spa covers by holding fast to our philosophy that a good product will sell itself. 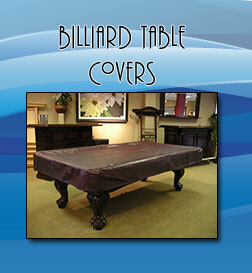 In addition to our ThermoShield spa covers, our product lineup includes a custom-made premium pool table cover that fits your customers exacting needs. 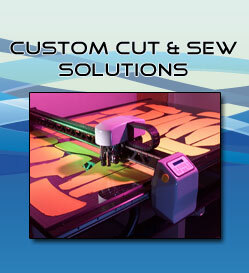 We also are a full-service custom cut and sew shop that can work with you on anything from prototyping to mass production. Contact us today and discover how our programs can impact your bottom line. We are excited to announce that we have moved our manufacturing facility to Mason, Ohio. Our new address is 1228 Castle Drive, Suite B, Mason OH 45040. Our new phone number is 513-486-3847. We have expanded our Flat-Rate Delivery Program to include much of the midwest. If you are a spa and hot tub store in and around Ohio, western Pennsylvania, southern Michigan, Illinois, Indiana, Kentucky or southern Wisconsin, give us a call and find out about our Flat-Rate Delivery Program that will have turn your back on the hassle and high costs of freight carriers forever. Our new online ordering system, DealerNet, is now active. Our innovative LiveView allows you to track real-time status of your spa cover orders. DealerNet can be accessed by visiting dealernet.sonshineproducts.com. Contact your Sonshine Covers customer service representative for login information. Do you own a pool and spa store and HATE the high costs of freight and all the damaged covers? Call us at 800-494-9932. We can help. Copyright © 1997-2016 - Sonshine Covers Inc. - All rights reserved.